Modified 2002 Honda Accord sedan featuring Eibach Pro-Kit lowering springs, window visors, Advan sticker on the fender, JDM amber side markers and smoked headlights. 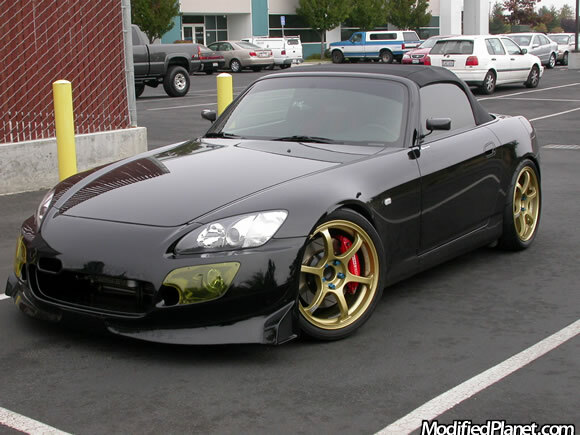 JDM Spoon front bumper fitted on a Berlina Black 2008 Honda S2000 featuring set of gold 18″ Advan RGII wheels and Stoptech big brake kit. Uber JDM. 2007 Subaru STI sitting on 18″ x 9″ Advan RG-D wheels wrapped in 225/40/18 Falken FK452 tires. 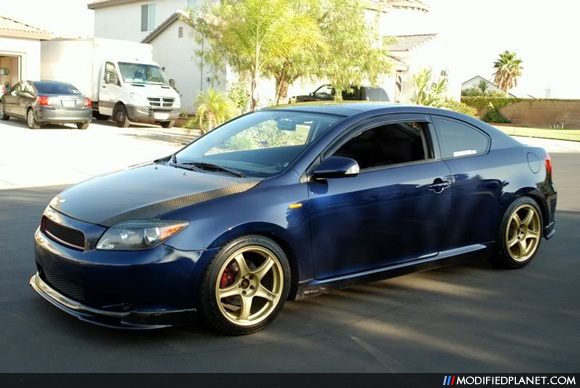 Indigo Ink Pearl 2005 Scion tC featuring JDM side marker lights, carbon fiber hood and 17″ x 8.5″ Advan RCII gold wheels with a +45 offset wrapped in Goodyear Eagle GT 225/45/17 tires. 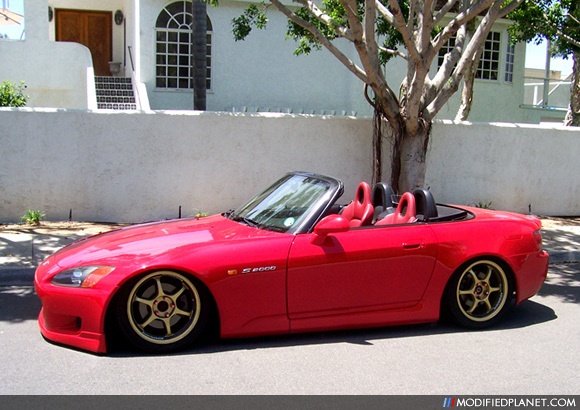 Set of Advan RG wheels mounted on a New Formula Red 2001 Honda S2000. Didn’t get any specs on these Gold Advan RG wheels but we always love seeing a rare set of JDM wheels. 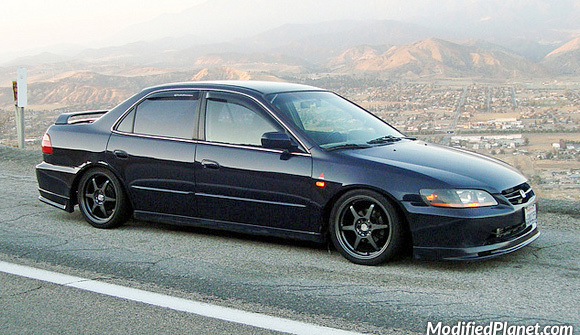 Always a beautiful sight to see a a rare colored car with rare JDM wheels. 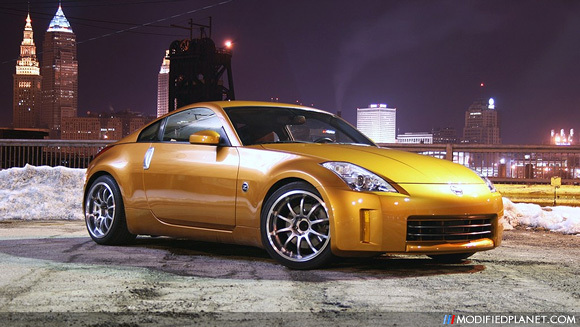 This Le Mans Sunset Metallic Nissan 350Z is sitting on a set of 18″ x 10″ Advan RS-D wheels with a +25 offset. The front wheels are wrapped in 265/35/18 tires and 275/35/18 in the rear. 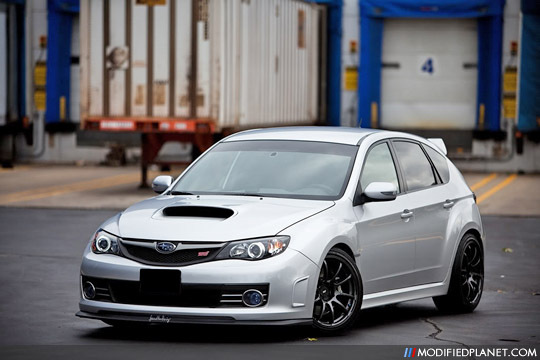 The 2010 Subaru WRX STi never looked so aggressive yet subtle. 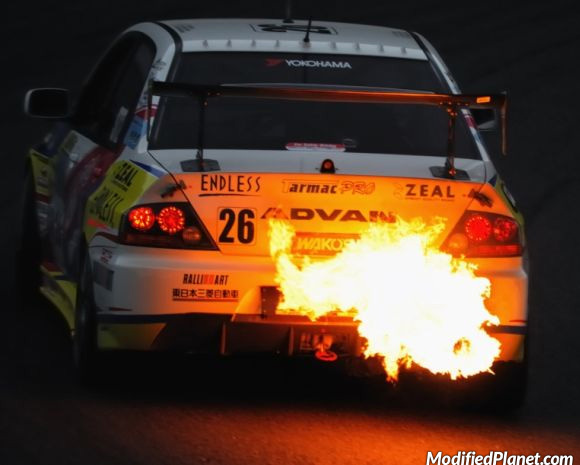 We believe these Advan RZ wheels are 18″x9″ with a +35 offset but we’re not 100% sure because no specs were provided. Regardless, it looks amazing.